Avid has unveiled a range of bold new product offerings to propel creativity and collaboration for media enterprises, teams and individuals. Innovations such as new Avid Media Composer 2019 video editing software and Avid Nexis Cloudspaces SaaS cloud storage solution are being featured in Avid’s NAB Show booth SU801. 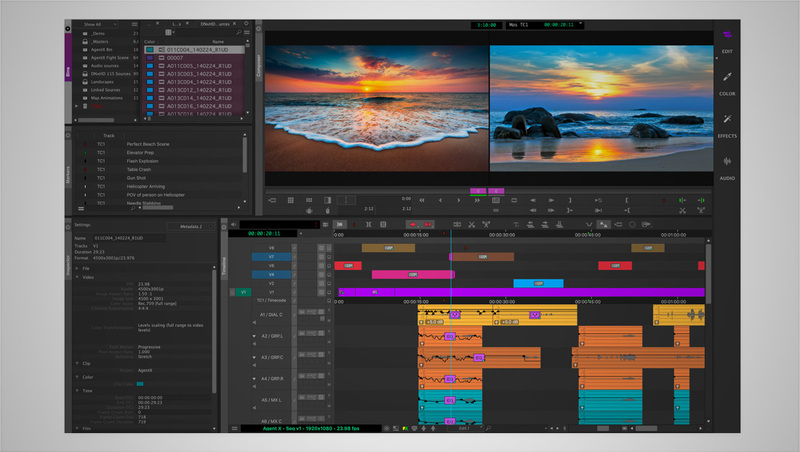 Media Composer 2019 will be available in late spring. From delivering 50% more voices in Pro Tools Ultimate software and double the MIDI track maximum, to more fluid track interactions during playback, Pro Tools 2019 extends power and performance to enable users to work more creatively and faster on the most complex projects. 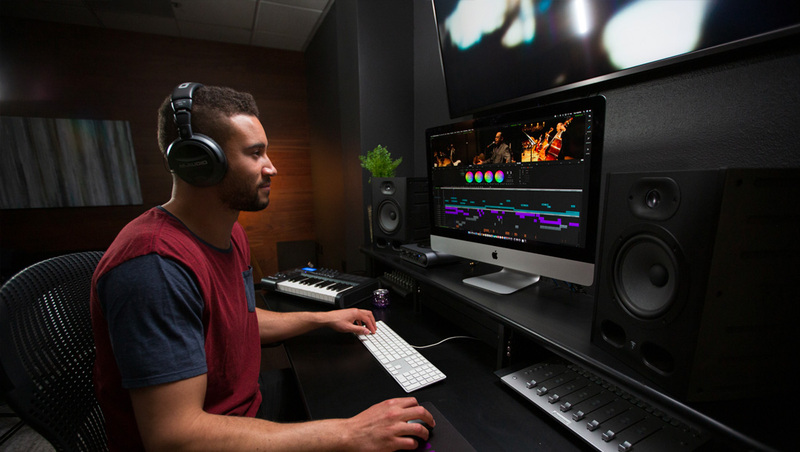 With the ability to freely experiment with effects, presets, and more during playback, Pro Tools 2019 enables users to act on their creative impulses in the moment and build on their momentum. Pro Tools 2019 will be available in the second quarter of 2019. Sibelius 2019 delivers more creative ways to compose, elevate score playback quality, boost music writing efficiency and accuracy and enhance the review and approval process. The version also includes the ability to share scores in the cloud and host them online, as well as capabilities for creating printed professional scores. Avid’s new Nexis Cloudspaces provides a simple way for post production, broadcast and sports teams to safely and securely park projects and sync onsite Avid Nexis workspaces to the cloud for easy offsite backup by bringing the power of the cloud. Making backup easy by auto-provisioning cloud resources, Nexis Cloudspaces scales as your needs change. All existing and new Avid Nexis systems will come with a limited time offer of 2 terabytes of cloud storage, enabling users to try out the service for free. Editorial Management 2019 is an asset management platform for post production that can be accessed by any role from any location. Users can quickly find, edit and share media from any location, making it easier to manage media and prepare projects. Available in May 2019, the new features in Editorial Management 2019 will enable users to prepare and edit simple sequences, assemble and create group clips to prep multicam shots for Media Composer editors, and use Avid AI with a new integrated phonetic option. 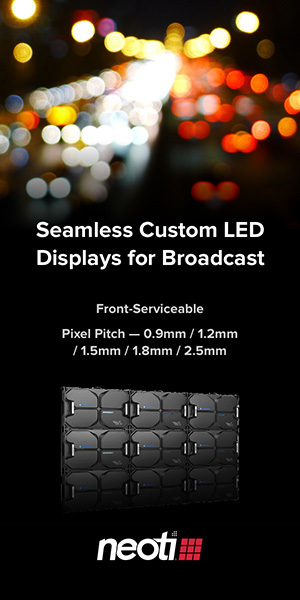 Additionally, it is integrated with Avid FastServe video servers to edit while capturing 23.98 fps and multi-camera footage, enabling live studio productions to work faster in real-time. Avid MediaCentral is now integrated with Maestro Graphics, providing a complete graphics creation and delivery workflow for news, sports, post and studio production teams. With full Maestro graphics capabilities integrated seamlessly into the MediaCentral ecosystem, users can add 2D or 3D graphics to any edit or rundown with the ability to search for and find graphics templates, add custom text, and then overlay on any content from any device. Avid has now integrated the full Maestro graphics line of products with MediaCentral allowing users to leverage video assets in graphics creation and graphics templates from anywhere on the network. The new Pro Tools MTRX DigiLink Option Card adds 64 channels of DigiLink I/O per card, enabling multi-HDX and multi-workstation systems to connect to a single Pro Tools MTRX interface. The MTRX DigiLink option card will be available in the second quarter of 2019.